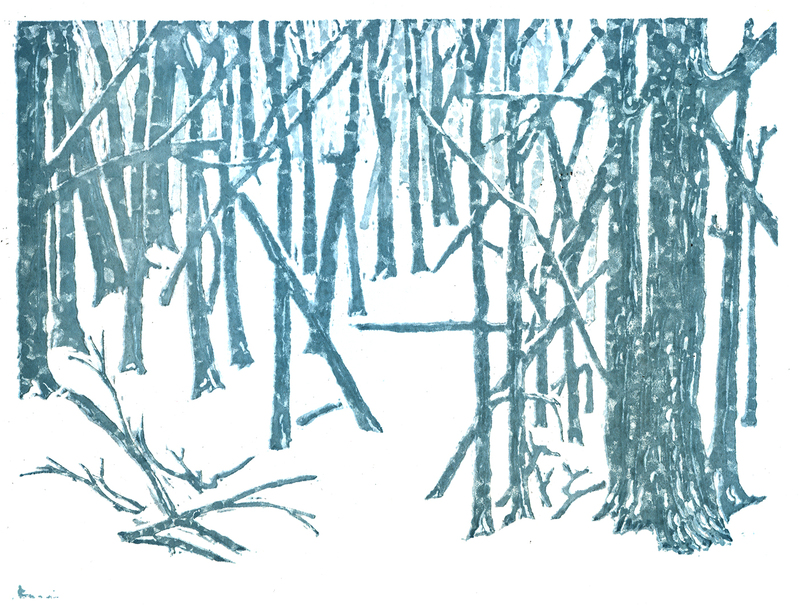 At the moment, what I like about this print is the total absence of snow. Perhaps even more is that it reminds me of a sunny afternoon sitting on a huge rock with a friend drawing rocks and trees and water and rocks and trees and water, but mostly enjoying the sun. Outside the wind chill makes it feel like -30C. I’m back inside now, huddled over my mac for warmth and wondering why my ancestors paid good money for passage from England to this frozen real estate when they could have just stolen a loaf of bread and been given a free trip to warm, sunny Australia. I spent a (much warmer) day last March wandering around a bush near here sketching the aftermath of a snow storm. 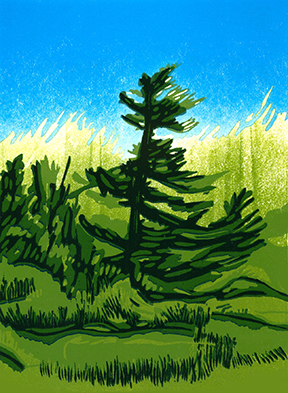 This three colour print is from one of the sketches.